Nebraska Sandhills. 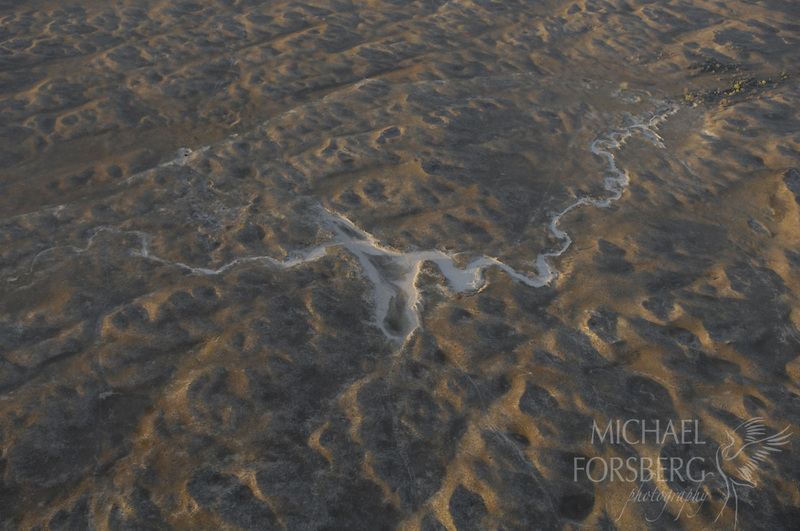 Cherry County..Aerial view of a sandy wash, now dry, winds its way through the rumpled waves of the Nebraska Sandhills. The largest stabilized sand dune region in the western hemisphere, and primarily ranch land, at 20,000 square miles, the sandhills are the largest intact prairie grassland left in the continent.